Used in a wide v﻿ariety of sala﻿﻿d﻿﻿﻿﻿﻿﻿s and in many other recipes, tomatoes stand among the most popular vegetables on Earth. They are succulent and delicious, relatively easy to grow both indoors and in the garden and are rich in vitamins and antioxidants. Despite their popularity, many newbies wonder how much sun do tomatoes need to grow and ripe well. For this reason, we decided to answer this frequent question. Stay tuned to find out the answer. To put it plain simple: plenty. Tomato plants need at least six hours of full sun exposure daily, but if you want to achieve the best results, increase the yield and grow sweeter fruits, you might aim to give your tomato plants at least eight hours of sun per day. The reason why tomatoes need so much sun is simple: the plants transform sunlight into energy, the energy they then use to grow strong, to bloom and to produce their fruits. However, when I say that tomatoes need a lot of sun I’m referring to the tomato plants. Tomato fruits don’t really need sun to ripen, they actually mature faster in the absence of the sunlight. So, here comes the tricky part. If moving your tomatoes in shade is easy if you grow them in pots, you will not be able to move the tomatoes planted in your garden. Therefore, you might want to ensure a partial sun exposure throughout the day and plant your tomatoes in a spot with partial shade. As if all this hassle was not enough, you might now want to determine if you want to expose your tomatoes to morning sunlight or to afternoon sunlight. Don’t worry, the answer is below. Morning Or Afternoon Sun: Which Is Better? Depending on where you live, you might want to expose your tomatoes to morning sunlight, to afternoon sunlight, or to a combination of the two. Morning sunlight provides high-intensity light without excessive heat, therefore you should consider morning exposure if you live in a region with a hot climate. Afternoon sunlight doesn’t provide the same light intensity but is generally warmer than the morning sunlight, therefore more suitable for your tomatoes if you live in a rather cold region. And there is the noon sunlight, typically bright as the morning one and hotter than the afternoon one. The noon sunlight should be completely avoided if you live in a temperate or hot region. If there is no shade in your garden, you might consider building some sort of protection to cover your tomatoes during the hot noon hours. If you live in temperate or cold regions, the best sun exposure would be a combination of morning and afternoon sunlight, but try to a﻿﻿void the hot ﻿﻿afternoon sun if you live in a hot region. 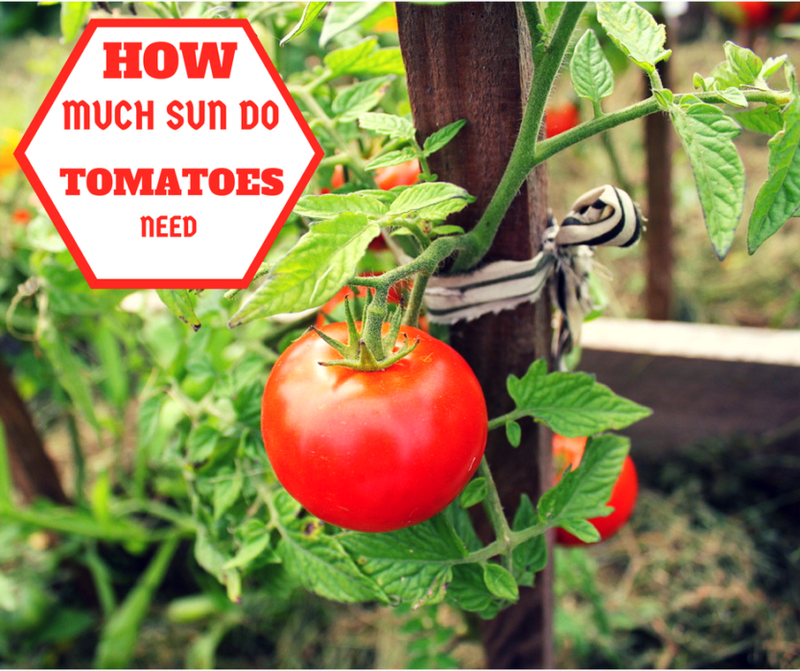 Now, how much sun do tomatoes need is no longer a mystery. All you have to do is to find the right spot in your garden and plant your tomatoes. If in doubt, leave a comment with your questions below.